A couple of minutes away from smoking Stonehaven in a 1998 smooth medium bend Peterson Limerick 69 with a nickel band. That was a great combination !! 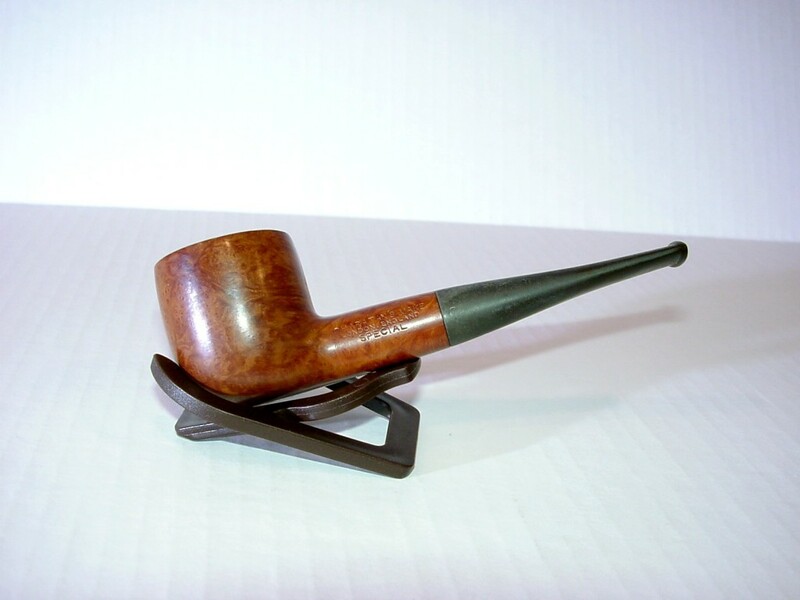 Just finished Full Virginia Flake in a slight bend 1968 group 4S Dunhill Shell 475 cherrywood. Next is Royal Yacht in a 1982 smooth straight Dunhill Root Briar 31051. Nightcap in a Charatan blasted bent bulldog, g'nite all. Tilbury in a 1980 black sandblasted full bent Ascorti Business Extension Saxaphone. The marinara sauce is made and will be ready for the calamari and shrimp. The bacala is still soaking but will be ready, it's been soaking for 3 days already. The New Zealand cockles are waiting to give their love to the linguini alle vongole. The main star of the show is Dover Sole. I'll be making it 2 ways, breaded and fried, also, I'm going to broil some with lemon and capers with garlic and parsley. I already made a seafood salad with scungilli, calimari, shrimp and scallops with gaeta olives, celery, onions, parsley, white wine vinegar, garlic, lemons and olive oil. Family will be arriving early afternoon and it'll be a great day! Lots of love! I'm relaxing now with a great smoke. SG FVF from 1999 in the Dunhill Group 6 Ring Grain Billiard. There's a lot of love in this pipe right now! Burley London Blend in a 1998 smooth straight Butz-Choquin Bistro 1501 pot. Merry Christmas to all my friends here at BoB! I'm starting the day off with some McClellands Boston 1776 from the inaugural year, 1993 in a Castello 4K Slightly Bent prince. Black Ethiopian coffee on the side. Walkabout was a bit treacherous even with creepers on, Levi was sliding every which ways but his nails gave him traction when needed. Smoked Presbyterian Mixture in the Tinsky Cauldron and popped in to pick up some last minute supplies and a King Cut Crown Roast of Pork which will be the main course New Years Day since we pick at Christmas and just sit and reflect rather than making it a big meal day. GL Pease Caravan in an Astley's Rhodesian. Having some après lunch ketchup/sweet, and since it's 'Fritmas Eve it's some McC's Christmas Cheer 2013 in an S&R strait grained strait bulldog. Presbyterian Mixture after lunch today, in a Ferndown Bark * cumberland pot. Still smoking His Master's Choice from Georgetown Tobacco, almost down to where it can be pouched, this time in the gorgeous Gamboni. I love how he does just enough blasting that you feel the grain and can still see it, the bit is Cumberland leading to black ebonite with a very comfortable fishtail bit, marvelous smoker. 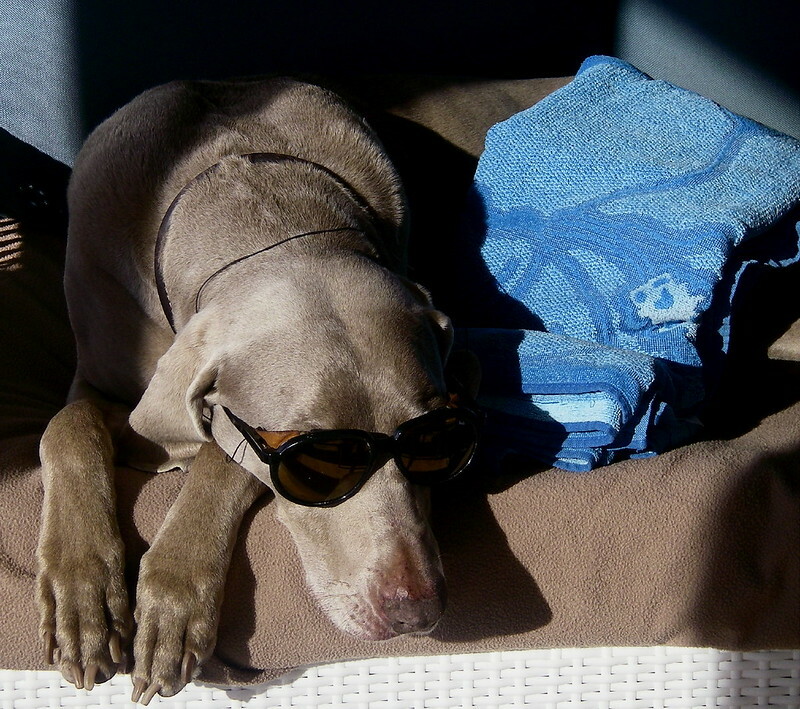 Levi decided to take in some sun while it was there to be had! Been snuffing at my desk all day...waiting to hit the road and put fire to a bowl of Pete Irish Flake for the drive home.